Enjoy your breakfast in bed in style with this DIY breakfast tray that's perfect for Mother's Day! Mother's Day is the perfect time to let Mom relax and show her how much you care. What better way to pamper Mom than with a Mother's Day breakfast in bed? This DIY Mother's Day breakfast tray is easy to make and will make her morning extra special. 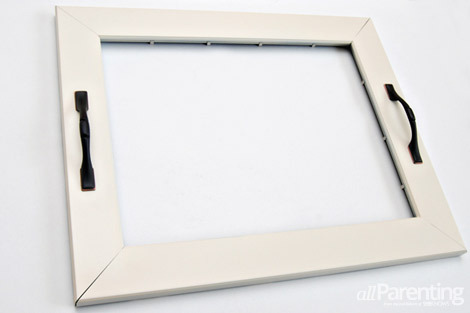 Start by removing the back and the glass from the picture frame. Save the back of the frame for later. 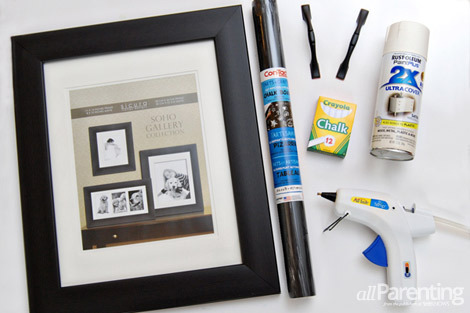 Take the frame outside and give it a coat of spray paint. Let that coat dry, and then apply a second coat if necessary. 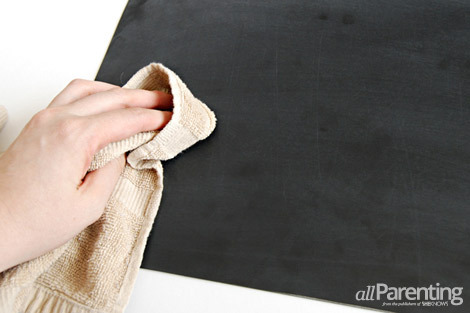 While the paint dries, roll the chalkboard contact paper out face down. 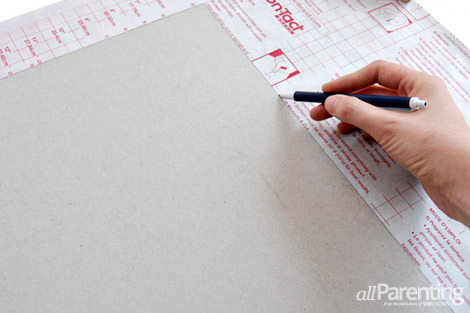 Put the frame backing on top of the contact paper and trace around it. Then cut it out. 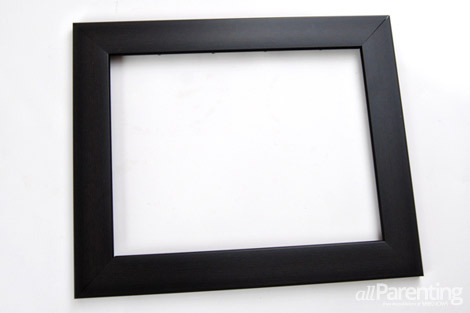 Turn the frame backing around, peel off the back of the contact paper, and stick the contact paper to the frame backing. Be sure to smooth out any bubbles. Put a dab of hot glue on the underside of the handle, and then glue the handle to the center of one of the short sides of the frame. 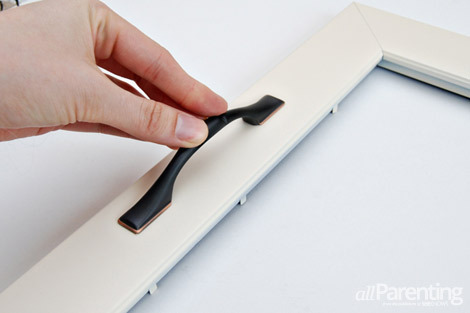 Glue the second handle to the frame, and then let the glue dry. 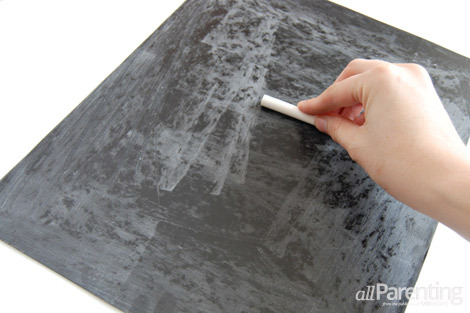 Place a piece of chalk on its side and rub it over the chalkboard surface. 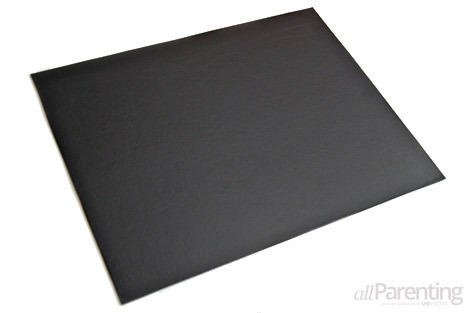 This gives the chalkboard some friction when you write on it. 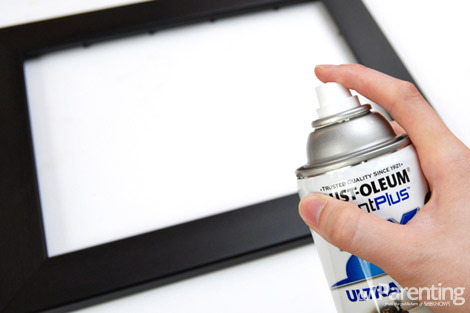 Wipe away any excess chalk dust with a dry cloth. 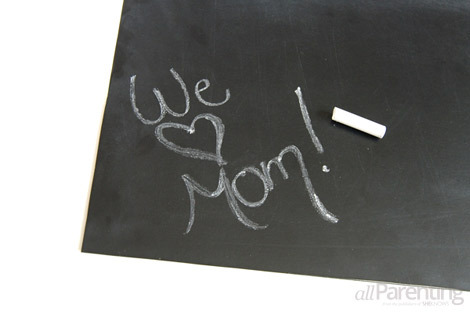 Write a Mother's Day message to Mom, and then put the frame backing back in the center of the tray. Once it's in, you are all ready to serve Mom some breakfast in bed!